COLLARS + ACCESSORIES handmade for your BELOVED Pet!! Announcement Thank you for visiting ADORED PUP where we’ve made handmade, stylish collars + accessories for your ADORED Pets!! We’ve moved on to new ADVeNTuReS but want to express our heartfelt gratitude to our wonderful customers!! Thank you for visiting ADORED PUP where we’ve made handmade, stylish collars + accessories for your ADORED Pets!! We’ve moved on to new ADVeNTuReS but want to express our heartfelt gratitude to our wonderful customers!! Totally matches my dogs personality! Love the collar! Super cute and fits well. Deal!! But 2 ... get the 3rd FREE ... mix & match in your favorite colors & size combinations!! The studio is bursting with new cute KEY FOBS & WRISTLETS in every color of the rainbow. I'm happy to whip up custom sets in your chosen color/style - make GReaT GiFTS!! Have a custom (pup OR person) BOW-TIE created to match!! Custom sizing available for a perfect fit!! Our beloved girl Sadie - her role as chief shop model // treat tryer-outer earns her VIP status (very important pup)!! 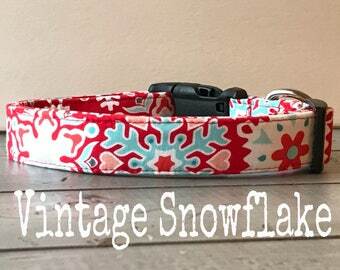 Making pets feel aDoReD one gorgeous collar at a time!! Welcome to the ADORED PUP shop - creating custom handcrafted dog collars, bow ties + accessories for YOUR beloved pets (pups, kitties & even the occasional piglet)!! > Each item is meticulously created especially for you in my modern, sunny sewing studio using fashion forward patterns & heavy duty materials resulting in cool, stylish goods that are also extremely functional & durable. ... every single item is made with a little bit of hustle & whole lotta love!! > Pets have a special spot in our hearts - that is most certainly true in our home. Our beloved black lab Sadie is a wonderful part of our family (she & my hubby have a particularly special bond - they are, in fact, rather infatuated with each other!!) It was upon creating a special gift for my husband (a new handmade custom dog bed & collar for our pup) that a new direction was found for my sewing skills. > I've been sewing for years & have enjoyed a busy etsy shop making hundreds of quilts & garlands (http://www.NORTHERNCOTTAGE.etsy.com ... come on over & take a look!!) & am happily exploring this avenue of my creative pursuits related to our BELOVED pets. > I absolutely LoVe helping you make your pet feel positively ADORED!! THANK YOU for taking a peek!! hey there! I'm thora, the girl behind the scenes of the Adored Pup shop ... sewing away in my sunny studio for you & your beloved pets!! X-Small (5/8" width) fits necks 7-10"
Small (5/8" width) fits necks 9-14"
Medium (3/4" width) fits necks 13-21"
Large (1" width) fits necks 15-25"
X-Large (1" width) fits neck 17-28"
The LENGTH measures the range a collar can be adjusted to. 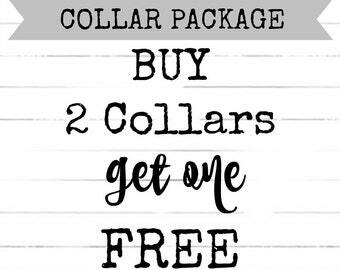 It's usually best to choose a collar where your pet's neck size would fall toward the middle of the range. for best results hand-wash collars (or gentle cycle cold in laundry bag) / lay flat to dry. Bows aren't machine washable but can be rinsed / lay flat to dry. Please be sure to VERIFY correct shipping address at checkout. Most orders ship via USPS First Class. You may choose to upgrade to Priority Mail at checkout. These options "generally" arrive in 2 to 5 business days once shipped. Note: USPS only guarantees Priority Express within 1-2 days which typically runs $25. If you're seeking Express shipping, connect with me for availability & specific fees. INTERNATIONAL ORDERS ship via USPS First Class - any customs/duties are responsibility of buyer.